Hello and welcome to our barbecue section of the website. May it serve as your guide to navigating the wide market of outdoor cooking options. Entertaining friends on the patio just isn’t the same without barbecuing some food, or coming home after work and throwing your entire meal on the fire: burgers, potatoes, vegetables. Nothing beats that hearty, smoky goodness. It brings out the primal in all of us: we satisfy our most basic instincts by lighting up a fire – whether in a pit or inside a grill – and sitting in the great outdoors, taking in sunshine and happily flipping your burgers. The air is filled with the scent of barbecue. We all know what this means. Delicious, savoury, makes your mouth water kind of smokiness, with the underlying lust for iron and protein altogether in one joyous chorus: We gonna get fed, son! That’s right. But what kind of barbecue do you want? What do you need? How many guests will you be feeding, and what are you able to maintain? 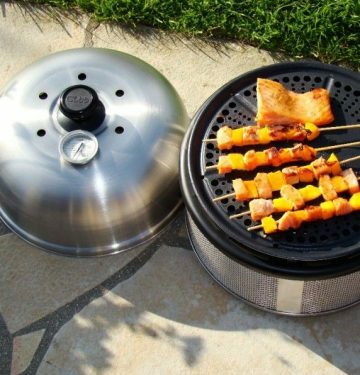 What’s your lifestyle and where does the barbecue fit? 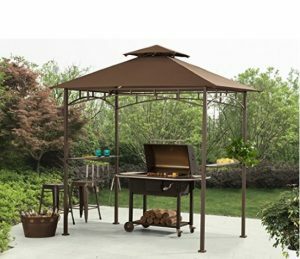 In this section we’ve collected and presented all the info you need for making this decision, with reviews of the best grills and barbecues on the planet as well as a compilation of the best barbecue sauce recipes. And it’s only gonna get bigger from here.